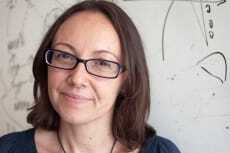 NYSCF – Robertson Stem Cell Investigator Dr. Paola Arlotta, of Harvard University, has made an exciting breakthough and paradigm shift in the basic understanding of neuroanatomy. Her research team discovered that myelin, the fatty coating that insulates nerves and neurons long though to be consistently distributed among all neurons, actually differs in distribution depending on where neurons are located in the brain. Further, the scientists discovered that more sophisticated neurons actually have less myelin that more ancestral neurons. This finding upends 160 years of neuroanatomy understanding and opens up new avenues of understanding brain function as well as demyleinating diseases such as multiple sclerosis and schizophrenia among many others.